T-Mobile’s video efforts are heating up, and a new deal with Viacom sheds some light on the company’s plans. The two companies have signed what they call a “significant content distribution agreement” that will bring Viacom's channels, including MTV, Nickelodeon and Comedy Central, to T-Mobile’s upcoming mobile video product. The deal includes live linear feeds of Viacom channels, as well as on-demand content. T-Mobile calls Viacom a “cornerstone launch partner” of the upcoming mobile service. Thus far, T-Mobile has been somewhat vague about its video plans, saying it wants to offer a mobile-first video product this year, after it launches an at-home offering. The company acquired the cable TV startup Layer3 TV last year and has been using that company’s technology to built its upcoming video offering. The home-based offering will be built on the company’s 5G network, but with limited availability of that network; the mobile product sounds like the main event. “TV programming has never been better, but consumers are fed up with rising costs, hidden fees, lousy customer service, nonstop BS. 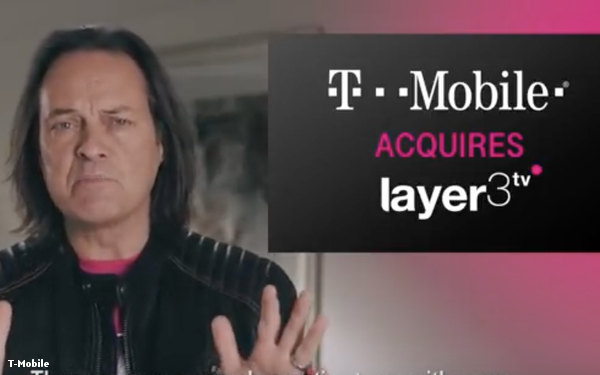 And Macgyvering together a bunch of subscriptions, apps and dongles isn’t much better,” says T-Mobile CEO John Legere. He thinks his company has developed a product that will replace many existing services for consumers. The big question is whether the mobile video service will be included in select mobile plans (as AT&T does with its Watch TV offering), or an added cost. If the product is a full-fledged but mobile-only cable TV offering, it may be an added cost, but priced well below other connected TV-focused bundles.